A federal judge in Brooklyn gave the go-ahead this week to a discrimination and retaliation lawsuit against Success Academy, a chain of prominent New York City charter schools accused of pushing out students with disabilities. In an order Wednesday, U.S. District Judge Frederic Block denied the school network’s motion to dismiss the case, advancing the legal battle. The parents of five students allege Success Academy placed children as young as 4 on a “got to go” list and subjected them to strict discipline intended to force them out of the system. Success Academy, which is independently operated but receives public funds, is known for high student achievement and a strict approach to student discipline. The lawsuit, filed in December 2015, follows an investigative report in the New York Times that exposed that the principal of a Success Academy campus in Fort Greene, Brooklyn, had 16 students on a “got to go” list because of disruptive behavior. 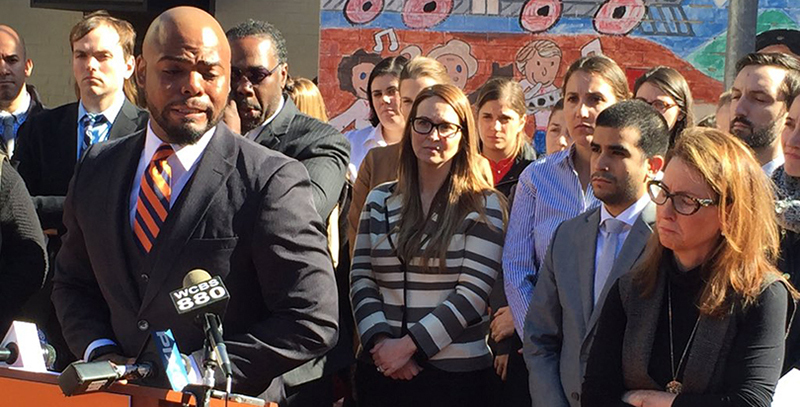 The children at the center of the lawsuit, who no longer attend Success Academy, appeared on the list. The principal, the plaintiffs allege, “deliberately targeted their children for removal” from the school because of their actual or perceived disabilities. Additionally, the lawsuit argues, school officials removed the children from their classrooms for extended periods, dismissed them from school early, suspended them repeatedly, and failed to provide them with academic instruction while they were out of class. School leaders also encouraged the parents to remove their children from the school, plaintiffs allege. In a statement Friday, a Success Academy spokeswoman said the judge’s order is “purely a procedural decision and has nothing to do with the merits of the case.” She declined to comment further. Disclosure: Campbell Brown is a co-founder of The 74 and sits on the board of directors of The 74 and Success Academy.